The Urban Plus Sliding Door features a substantial 125mm framing system to provide the strength and performance required in high-end architectural applications. The inherent strength of the Urban Plus system allows for large semi-commercial confi gurations whilst still delivering a residential aesthetic, not possible with commercial systems. The Urban Plus Sliding Door has been designed with amazing attention to detail. Frame, sill and head trims close recesses and provide a clean, neat look. High quality double bogie rollers ensure smooth panel operation while a range of rounded interlock options can achieve door heights of up to 2700mm. 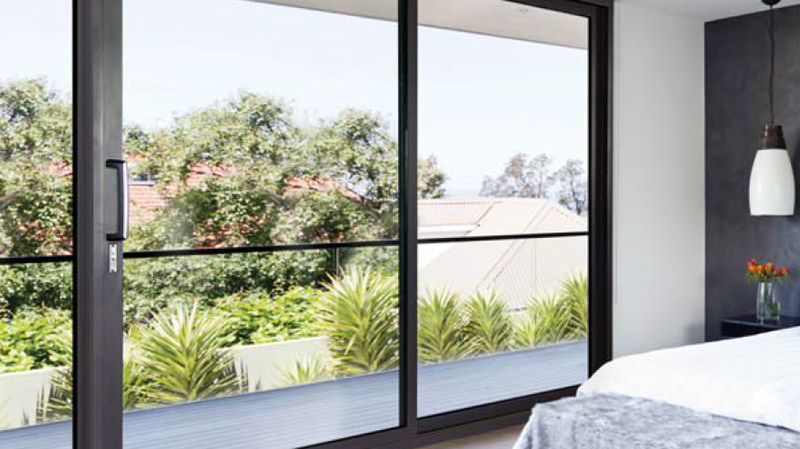 An optional multi-stack frame can achieve 6 panel confi gurations while double glazing can deliver an enhanced level of thermal comfort and performance. Premium quality 125mm architectural framing system. High performance double bogie roller system. Single and double glazing options. Standard and multi-stack configurations of up to 6 panels. Compatible with the full range of Urban Plus window suites.